Located south of Miami Beach, Key Biscayne is an exclusive island community accessible by the Rickenbaucher Causeway. The area was originally known for its coconut plantations, which made up over 2/3 of the island. The area was owned largely by the Matheson family, who, in 1940, donated 800 acres of land to be used as park, in exchange for the building a causeway to the island. The causeway brought with it the building of homes, soon following by the construction of a post office, stores, and schools. This island community is known for beautiful oceanfront and warm weather, attracting visitors to visit its many hotels and restaurants. Key Biscayne has a population of 12,935. Median household income is $124,504, with median home values at $1.03 million and a homeownership rate at 72.1%. Each year, residents of Key Biscayne are injured in accidents. Many times, people are injured through no fault of their own. Injuries can occur when drivers don’t operate their vehicles with reasonable care or property owners don’t ensure that their premises is safe. 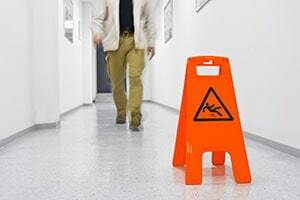 If you have been the victim of an accident, contact the Key Biscayne personal injury lawyers at the Wolfson Law Firm. Injuries that result from accidents often impact a victim’s ability to work and causes them to incur high medical costs. Our Key Biscayne personal injury lawyers can help answer your questions about paying for medical treatment and recovering lost wages. If you or a loved one has suffered injuries or a fatality as the result of a personal injury accident and would like to speak to our Key Biscayne personal injury lawyers, contact the Wolfson Law Firm at (305) 285-1115 for a free consultation. Why Contact a Key Biscayne Personal Injury Accident Attorney? Wondering if you have a case for compensation? Have questions? Need answers? Contact the Wolfson Law Firm at (305) 285-1115 for a free consultation. Personal injury settlements originating from medical malpractice may include the recovery of financial losses from lost wages, current and future medical costs, and in-home care. Non-economic losses, such as pain and suffering and the loss of the quality of life may be awarded as well. Personal injury accident victims that have been injured as a result of medical malpractice may not be able to work or pay their medical bills. Seeking representation will help personal injury accident victims to recover lost wages, pay for medical expenses, and receive continued care and rehabilitation. Our Key Biscayne personal injury attorneys will help personal injury accident victims to receive the compensation needed to recover from the accident and restore their lives. If you or your loved one has been the victim of a personal injury accident, contact the Key Biscayne personal injury lawyers at the Wolfson Law Firm at (305) 285-1115 for help. The Key Biscayne personal injury accident attorneys at the Wolfson Law Firm can help you and your family to get on the path of recovery. We can answer your questions. We can help you and your family pursue the compensation you deserve after your Key Biscayne personal injury accident.